Divyanka Tripathi’s latest Instagram photo will drive away your Monday blues! Yeh Hai Mobabbateina actor Divyanka Tripathi Dahiya's latest Instagram photo has taken over the Internet! Divyanka Tripathi has previously featured in many television shows such as Banoo Main Teri Dulhann, Mrs. & Mr. Sharma Allahabadwale, among others before she gained immense popularity for her lead role in Yeh Hai Mohabbatein. The entire country celebrated the special festival of Rakshabandhan on Sunday and television actress Divyanka Tripathi has stolen millions of hearts after the Yeh Hai Mohabbatein actress shared some wonderful photos on her Instagram account from her Rakhi celebrations. 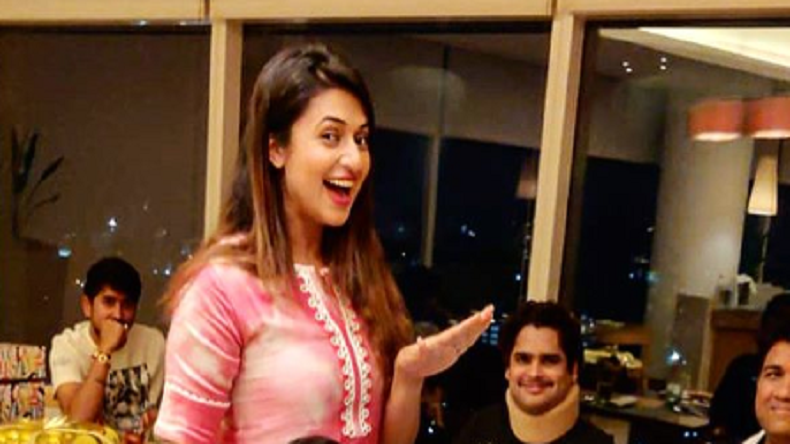 In the latest photo which Divyanka Tripathi shared on her Instagram account, Divyanka is seen doing the tika to one of her brothers and both the brother and the sister are all smiles in Divyanka Tripathi’s latest Rakshabandhan photo. Dressed in a stunning pink suit, Divyanka Tripathi Dahiya looks gorgeous as she celebrates the festival of love between a brother and a sister. Divyanka Tripathi Dahiya is one of the most popular television actresses and is best known for her role of Ishita Bhalla in Ekta Kapoor’s popular television daily soap Yeh Hai Mohabbatein which has been topping the TRP charts for the past 5 years. Divyanka Tripathi has previously featured in many television shows such as Banoo Main Teri Dulhann, Mrs. & Mr. Sharma Allahabadwale, among others before she gained immense popularity for her lead role in Yeh Hai Mohabbatein. She has a huge fan following on social media and keeps sharing her stunning photos on her Instagram account.